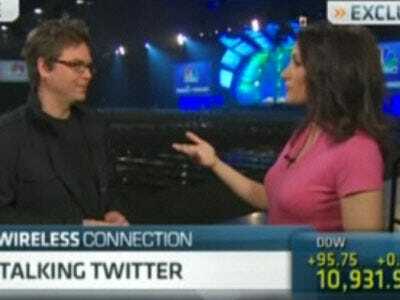 Twitter co-founder Biz Stone appeared on CNBC today talking about Twitter’s business model.He remained tight-lipped as usual, but did say Twitter’s monetization plan will not just enrich Twitter, but hopefully all the Twitter applications. We’re going to roll out something we think appropriate not just for Twitter users but also for the ecosystem when we develop this monetization platform, it’s not going to be just for us, it’s going to extend to all these apps that are out there that everyone is using. This is a smart move on Twitter’s part. While it’s stuffed with cash from venture capitalists, the companies that help make it a success like Tweetie, Tweetdeck, and Hoot Suite aren’t quite as well off. As a result they’re casting about for their own revenue models. Earlier this month, we wrote about Hoot Suite, which was running ads in the middle of the Tweet stream on its free iPhone app. The ads looked spammy because they were exactly the same as the Tweets. Hoot Suite fixed it because those ads would annoy users. If Twitter can really figure out a smarter business model that makes it rich, as well as all of its partners, and doesn’t annoy users…well, then it really has something. We find out in a few weeks if Twitter can deliver the goods. It takes the wraps off its monetization plan at its conference in mid-April.